Mary Summer Rain got the name Summer Rain from No Eyes, a blind Chippewa medicine woman. In 1977, both she and her husband felt a calling and moved their family from Detroit to Colorado. Unemployment and poor job prospects, plus a yearning to get closer to the earth were the prime reasons for this move. But in hindsight, Mary felt it was a greater calling, when still unhappy with their situation she got into her car and drove out into the Colorado woods one day. Leaving the car, she sat on a stump or fallen tree and cried her eyes out. When she looked up, there was No-Eyes. 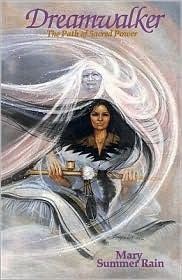 So began a wonderful teacher-pupil relationship that would last until No-Eyes' death and impart to Mary not only a reconnection to her native roots, but a wisdom and knowledge to pass on to future generations, aboriginal wisdom and philosophy that is good for Mother Earth and her children. Her writings exist, at a time when humanity is again open, to embrace, honor, and include the great wisdom of the aboriginal peoples of the world. We at this website expect that Mary Summer Rain is now retired. She has been a private person for quite a few years now. That does not mean that future generations will not continue to enjoy her books. We wish you well, Mary, and thank you for the knowledge you have imparted. Synopsis: Ancient Echoes is a magical collection of chants, prayers, and songs of the Anasazi people, who lived in pueblos on the plateau area of the American Southwest from around 100 to 1300 A.D. Mary Summer Rain brings forth the beauty and sensitivity of the Anasazi heart by recreating many of the chants used by one Anasazi community called the Spirit Clan. The information came from “spiritual memory recall,” whereby she received, in deep meditative states, both the words and the spirit of the words. These chants, prayers, and songs also have many practical uses, for healing, blessings, child sleep songs, for a broken heart. Illustrated with line drawings, it is a stunning and practical book. Amazon Synopsis: BREATHE IT. FEEL IT. SHARE IT. LIVE IT. The earth around us, the heaven above us, the soul within us -- Mary Summer Rain's illuminating guide "Earthway" helped us become aware of their interconnectedness to all life. Now Mary Summer Rain responds to the thousands of letters from her readers about applying nature's centuries-old knowledge to everyday life. "Beyond Earthway" offers more empowering information about dream interpretation, the celestial pull of the stars, our relationship to the Earth's vibrations, our selection of food and herbs for vitality and healing, and our yearning to strengthen the role of meditation and spiritual practices in our increasingly complex modern world. The gifts she offers us within these pages are the strength, self-reliance, and harmony with nature that characterize the concept of "all my relations" -- a way of living filled with values that feed the mind, the body, and the hungry heart. Hampton Roads Synopsis: Bittersweet is a continuation of the Soul Sounds journal, but in the format of a collection of stories, rather than a day- by-day diary. It deals with the outstanding events in Mary Summer rain’s life since 1992. Some of these events, including her interactions with her Starborn friend, are quite astounding in their implications. Illustrated with line drawings, and a twelve-page color photo section, Bittersweet will be one of the most informative, interesting, and controversial books for Mary Summer Rain’s readers. Hampton Roads Synopsis: Mary’s Sixth book is divided into two parts. “The Communion” consists of extensive answers to questions she has received from readers over the years. Ranging from prophecy to Native American history, from metaphysics to just plain common sense, here are nearly 450 pages of wisdom, including an extensive section on dream interpretation. The second section, called “The Phoenix Files,” is a comprehensive collection of maps, charts, lists, and tables describing nuclear facilities, toxic-waste dumps, oil refineries, hurricane, tornado, and flood-hazard zones, as well as a suggested pole-shift realignment configuration. Together, it makes an indispensable resource manual. Amazon Synopsis: The Book of 22,000 Dream Symbols In the twenty-eighth literary work from this spiritually insightful author, Mary Summer Rain unveils the long-elusive foundational coding of dreams. Known for her deeply inspiring philosophical writings she now brightly illuminates the hidden passageway leading through dreams to enlightened transformation. In her typically concise manner, the author has richly enhanced her former dream interpretations and expanded them to comprise an impressive 22,000 symbol dictionary. Now, by clearly de-mystifying the twenty-two elemental Dream Source Codes that comprise the groundwork on which all symbols are built, seekers will suddenly discover they are gifted with an instinctual understanding of each dream's meaningful essence. Hampton Roads Synopsis: Dreamwalker is the story of No-Eyes’ introduction of Mary to Brian Many Heart, who teaches Mary the power of the Dreamwalker by bringing her to face some painful realities. In it, she deals with may unanswered questions about her own identity and her role in traveling in the path of knowledge. One of the best spirit-awakening books in print. Pocket Books Synopsis: Mary Summer Rain’s fifth book, is a presentation of the knowledge of the Native Americans. Interweaving the inspired teachings of No-Eyes with a wealth of practical knowledge of all kinds, she demonstrates a practical, gentle, civilized way of life. Divided into sections for body, mind, and spirit, the book aims at restoring wholeness. Amazon Synopsis: Having received thousands of letters over the years since the release of her questions-and-answer book Daybreak, it became clear to Mary Summer Rain that there were still far too many unanswered questions in the minds of her readers. And during those years, too, her own knowledge and spiritual philosophy evolved into one of greater scope and depth. In books such as The Visitation and Fireside, she provided tantalizing glimpses of that natural evolution of thought. Eclipse is in many ways an attempt to honor readers' concerns and ongoing personal questions on life and spirituality, which are usually prompted by their desire to figure out how the universe works, and how they may individually apply universal truths in their own lives. Eclipse addresses a vast array of subjects--from the feminine principle to sexuality, from Starborn matters to the interconnectedness of all living things as manifested through the Great Web of Life, from the feminine aspects of the Divine Trinity to the spiritual ills of modern society. Mary doesn't claim to have all the answers, and her answers are not always what you'd expect. In Eclipse, Mary responds to many common and uncommon questions, in the inimitable, straightforward, no-nonsense, and sometimes even exasperated (but always patient) fashion that has been her trademark. What emerges is a consistent philosophy that applies clear logic and spiritual truths to the problems of our age. Amazon Synopsis: From her isolated cabin deep in the mountains, Mary Summer Rain shares, for the first time, her own philosophical views about many subjects. In a series of fireside chats, she brings together the wisdom of a lifetime of experiences, study, and deep contemplation. In a quiet dialogue with a close friend, Mary covers subjects such as "quantum meditation" and "virtual meditation" (terms she herself has coined), the meaning of value, what real power is, the wisdom of silence, unconditional goodness, what children need to be taught, the eight qualities of wisdom, the nature of the web of consciousness, the enlightened physicists, and much more, including a few predictions for the future. There is even a close encounter of the "bear" kind. Fireside is one of the most fascinating and instructive books Mary Summer Rain has ever written. Amazon Synopsis: The essential guide for dream decipherers, In Your Dreams is one of the most comprehensive dream dictionaries on the market. It contains more than twenty thousand symbols and their interpretations, followed by concise definitions of what each symbol means, from the ordinary (tending your garden) to the obscure (what does it mean when Greta Garbo appears in your dreams?). In Your Dreams is an easy-to-use and helpful dictionary to your subconscious. It will build a bridge from the dreaming world to the waking one. Keep it by your bedside and use it whenever you wonder what your subconscious is trying to tell you. Amazon Synopsis: Mary Summer Rain took the mother of her dear Friend Sally into her home. She wrote this book for potential caregivers, to help them make an informed choice regarding this difficult situation. If you have a loved one with Alzheimer's, this book will tell you what you need to know. Amazon Synopsis: For years readers have written Mary Summer Rain requesting interpretations of literally hundreds of their dreams. In her previous books, Earthway and Daybreak, she addressed this need, adding a short list of interpreted dream symbols. This book offers a single-volume reference defines more than 20,000 dream symbols and offers a succinct interpretation of each. Boxed Set of her first four books. Hampton Roads Synopsis:: A fascinating description of the quiet work done by Mary and her husband Bill in liberating spirits lost between two worlds. You might call these ghost stories, but ghost stories told with concern for the welfare of the ghost! Like the previous three volumes, Phantoms Afoot is very much set in Colorado. All the wild beauty of the Colorado countryside enters into the story. Hampton Roads Synopsis: Phoenix Rising uses the analogy of the phoenix, the mythical bird that symbolizes rebirth and eternal life, to provide a powerful warning of the earth changes in store for us. This unforgettable prophecy has already begun to come true, as the daily newspaper and TV news broadcasts demonstrate. Amazon Synopsis: Pinecones is the first volume of a collection of meditations, insights, and illuminations from the personal journals of one of America's most beloved visionaries. Taken from several of her hand-written woods-walking notebooks, it contains a record of insights that came to Mary Summer Rain as lightning-bolt epiphanies, and of contemplative thoughts, verses, and parables. Here is a gentle blend of the message and the messenger, a compendium to savor and share for the ages. Amazon Synopsis: From internationally-renowned author Mary Summer Rain comes a stirring vision of life and love in a world where there are no barriers to spirit. The web, fragile and sparkling with beauty, symbolizes the interconnectedness of all things, denying the illusion of separateness that humankind has chosen to embrace. Mary identifies numerous natural objects and occurrences, their symbology, and their energetic natures, yielding new insights into Grandmother Earth. Grandmother's Gifts of Life include gemstones, rocks, and metals; flowers and trees; and people of the earth, air, and waters. Her Gifts of Spirit include wisdom, intuition, and dreams. Learn new respect and understanding for the world that surrounds us, for the vibrational energies of the physical world, and the spiritual symbology connecting all animate and inanimate objects in a great Singing Web of Life. Hampton Roads Synopsis: This is the book Mary’s readers have long waited for: her own story, in her own words, of the experiences that shaped her extraordinary life, from childhood to her most recent meetings with Starborn friends. This is her private journal, written for herself and for her children. She didn’t want it published. But her advisors insisted, and finally she gave in… and the reader reaction has been nothing short of phenomenal. Hampton Roads Synopsis: This book relates how Mary and No-Eyes first met. Although totally blind from birth, No-Eyes lived on the land, identifying everything she needed by smell and touch. Using gentle discipline, humor, and insight, she guided Summer Rain through a remarkable series of experiences, giving her the accumulated knowledge of her own eight decades. Amazon Synopsis: From the bestselling author of Earthway comes a collection of thoughtful and inspiring essays on nature and life. Together they light a path to genuine love and caring, for as we learn to recognize and respect the beauty in nature we learn, too, to appreciate the beauty in ourselves. Everywhere we turn, nature is trying to bestow her gifts upon us whether we're ready to receive them or not. Here spiritual philosopher and naturalist Mary Summer Rain shows us how to open our eyes to see, how to open our ears to hear, and how to cultivate a perceptive mind and a sensitive heart so that we may gain access to the sacred knowledge of living right. We need to look beyond the awesome sunsets and beneath the splendid blanket of snow to where the true gifts lie, hidden, waiting for our minds to unwrap them and revel in their wisdom. The jewels in Tao of Nature are invaluable gifts to readers ready to open themselves up to the wonder of Grandmother Earth. Once again, Mary Summer Rain has interwoven her observations as a naturalist with spiritual philosophy to share with the world the lessons of nature's beauty and power. Amazon Synopsis: The ancient legend of Child/Mother/Crone, handed down from the matriarchs of old, represents the three aspects of the feminine consciousness. The child symbolizes innocence. The Mother symbolizes the "nurturing" nature in all women. the Crone represents the wisdom of the elder within. Every woman possesses this beautiful and fulfilling "trined" nature. What if two of these unique aspects of the feminine consciousness could separately manifest and communicate with one another? What would the Child and Crone have to say to each other? What secrets would they share? Trined in Twilight is the story of "Little Self," a precocious six-year-old girl who ventures into the woods at twilight to discover "Granny's" cottage and spends a day filled with mystical wonderment. The interaction between the wise old woman and the child full of wonder captures the sublime emotion we experience when looking into the eyes of a loved one and seeing the reflected essence of ourselves. Hundreds of thousands of readers remember Mary Summer Rain's Spirit Song as a timeless classic. Now, Mary rekindles that very same light and joy of magical adventure and spiritual discovery in Trined in Twilight, a profound reading experience that will be warmly remembered for years. Amazon Synopsis: Have you ever had a dream in which you were flying? Or perhaps you've experienced the terrifying sensation of falling to the ground, only to wake up safe in your bed with your heart thudding. But what do these dreams mean? Discover the hidden meanings of your dreamscape with dream authority Mary Summer Rain in 20,000 Dreams. It features the following. · An easy-to-use bedside reference guide to help you interpret the apparently random symbols that occur in our dreams every night.· A comprehensive and contemporary guide to dream symbols that is easy to use. It can be used for examining dream fragments by theme in addition to the quick A to Z reference.· From bizarre and unusual dream fragments, to common themes experienced by most people, dreamers are given the insights and ability to accurately interpret the secret language of their dreams, and ultimately, to live a more fulfilling waking life. 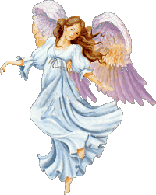 Mary Summer Rain, while in meditation, is visited by an Archangel who gives her a message for humankind. It outlines a simple plan, “the Way,“ that anyone can follow spiritually, to add positively to the collective consciousness (to help bring light to the world and turn us in the right direction, toward God). The message is, we must change or we will be our own destruction. It suggests that individual choice and action is what will make the difference. There are also insights into what we can expect to be revealed in the future. Hampton Roads Synopsis: Whispered Wisdom is a collection of beautiful photographs taken by Mary Summer Rain which depict the four seasons of Colorado. It is a celebration of nature, accompanied by a collection of verse, prose, vignettes, and sayings taken from her woods-walking journal. Together the pictures and words weave a wonderful tapestry of the many faces of Mother Earth. Amazon Synopsis: A must-have for all Mary Summer Rain fans, Woodsmoke is volume 2 of the two-book set Pinecones and Woodsmoke, a compendium of her poetry, metaphysical insights, and personal philosophy on the spiritual reality of life. Pulled directly from the daily journal she kept while walking in the woods surrounding her Colorado mountain home, the lyrical and profound passages of Woodsmoke evoke the serenity of a true connection with the natural world. Woodsmoke is a rare and valuable window into the mind and soul of an extraordinary philosopher and writer, reflecting the ever-evolving nature of her vision. Discover Woodsmoke and discover anew the magic of one of the most beloved figures of the New Age movement. Volume 2 of the two-book set Pinecones and Woodsmoke. When antiques dealer Sadie Brennan, fresh from the break up of a long-term relationship, is called to her sister's estate outside Chicago, she has no idea she's being pulled into a major mystery. She is there to help her 8-year-old niece Savannah, who has entered into a trauma-induced state of muteness. But once she arrives in town, Sadie meets a strange homeless woman named Ruby, and her life truly becomes an odyssey. Together, Sadie and Savannah seek to solve the puzzle that is Ruby. In Ruby, her first work of fiction in more than a decade, Mary Summer Rain delivers a merry adventure of metaphysical awakening, led by an old woman whose identity and purpose is unclear, but who just may be something much more than she appears . . . and more than you've ever imagined. Hampton Roads Synopsis: This is Mary Summer Rain’s first novel though she pointedly asks the question for the reader to decide: is it really fiction? It’s about a hidden pyramid buried beneath a Southwest mesa, and a guarded chamber that holds the sacred scrolls and tablets which reveal the answers to humanity’s most puzzling mysteries through the ages. But is it time for us to discover these answers? Have we gained enough wisdom to know what to do with that information? Four interesting characters come together to take that fascinating and dangerous adventure. Hampton Roads Synopsis: This book was originally privately published by Mary and Bill. Only in 1992 was the first trade paperback edition made available by Hampton Roads Publishing Company. This simple, delightful, easy-to-read book is full of illustrations for coloring; it will help parents nurture the creativity and imagination of their children; and will help children to understand where we come from and who we as humans really are. Amazon Synopsis: Few children's books convey the message that we are not alone in the universe. Mary Summer Rain has written Star Babies for the new and enlightened generation of children who will foster the understanding that our true reality is a vast universe peopled with God's children, that we are all intelligent beings sharing one Universe, one neighborhood, and that there is no such thing as an alien.This book is illustrated throughout with enchanting full-color paintings.